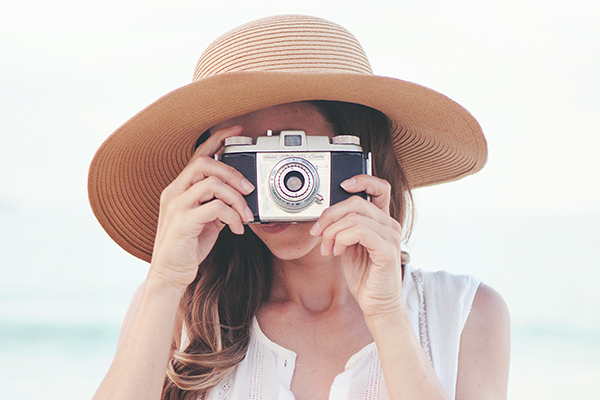 Let's press the only pause button we can and capture the moments that we want to hold on to this summer. 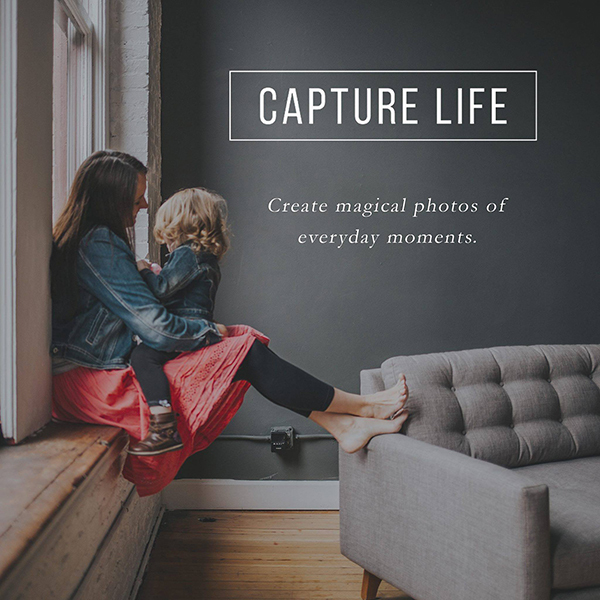 Join the Capture Life community. 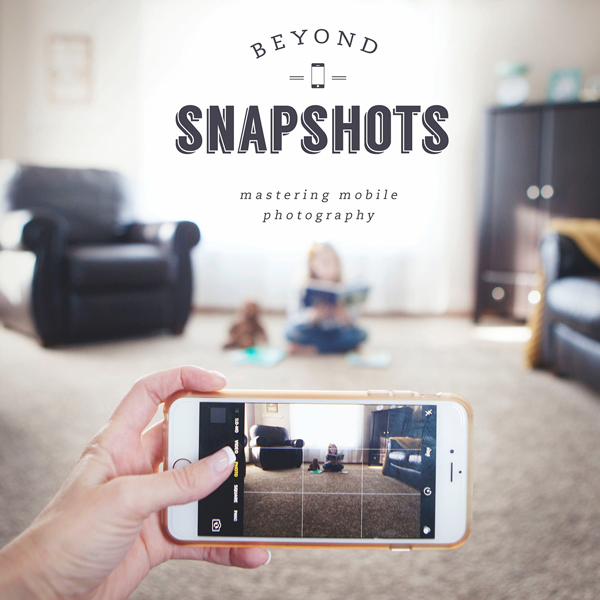 A place for aspiring photographers of *all* levels to encourage, inspire, share, and learn real-life photography skills. I remember our first summer together. It was just you, me, and that brilliant pink swimsuit of yours. Your thighs were the chubbiest. I can still remember every crease and fold of those baby-soft thighs. And that wide smile that went on for days –that was my favorite. That summer we took our first swim together at the lake. We took naps, read board books, and played peek-a-boo for as long as we wanted. We ventured on our first family trip. Up in the mountains where it was nice and cool, without a care in the world. Forging new paths, I carried you on my back as the wind gently whistled by, and the twigs broke beneath my feet. Life was quiet and life was good. But now you’re older, and the time is slipping by. Our summers look different than they did before. We stow the lunch boxes and the backpacks, and trade gym shoes for flip flops. You have siblings, friends, and interests of your own now too. Life is busier, and I worry more about how we’ll spend our days. Because before long, you’ll be walking down the aisle with your graduating class. Cap and gown, and that wide smile of yours. I’ll sit in my seat as I choke up a bit, and a few tears will roll down my cheeks. Tears for the good times? Or tears of regret? Tears for making the most of every moment I had with you—every summer I savored? Or tears of remorse for knowing that I could have done better—could have been more present in what we had, for only a time? So I know what I must do. I must make every single summer count. All eighteen of them, because it’s not a lot. Eighteen Summers: It’s All We Get, So This is My Promise To You. I’ll make big plans for us, but I’ll also enjoy the slow and simple moments too. The kind of summer days where we stay in our pajama’s until noon, make pancakes for lunch, and don’t do much at all. I’ll know that the messes you make won’t be for long, the scrapes and the bruises won’t always be mine to heal, and the tangles in your hair won’t always need to be combed. My eldest turned 16 this year, that means we only have 2 more summers as a family of 5 for holidays. We are hoping to go on our first overseas holiday this summer so we need to make the most of that. I wish I could slow down time but at the same time, I’m looking forward to hearing the tales from my children when they go off exploring on their own. My husband died when our daughter was 16mths,, she is now 16, due to leave school next week 😢….. I have treasured every second, day, year, summer…. This is beautiful. 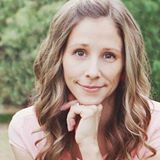 I love your tips and ideas for a great summer, and it’s such a lovely way to celebrate Mother’s Day! That is the tagline for Visit Idaho. It gets me every time. What a strong sentiment for parents. It also makes me think about my childhood traveling with my grandparents. Those trips were some of the best. 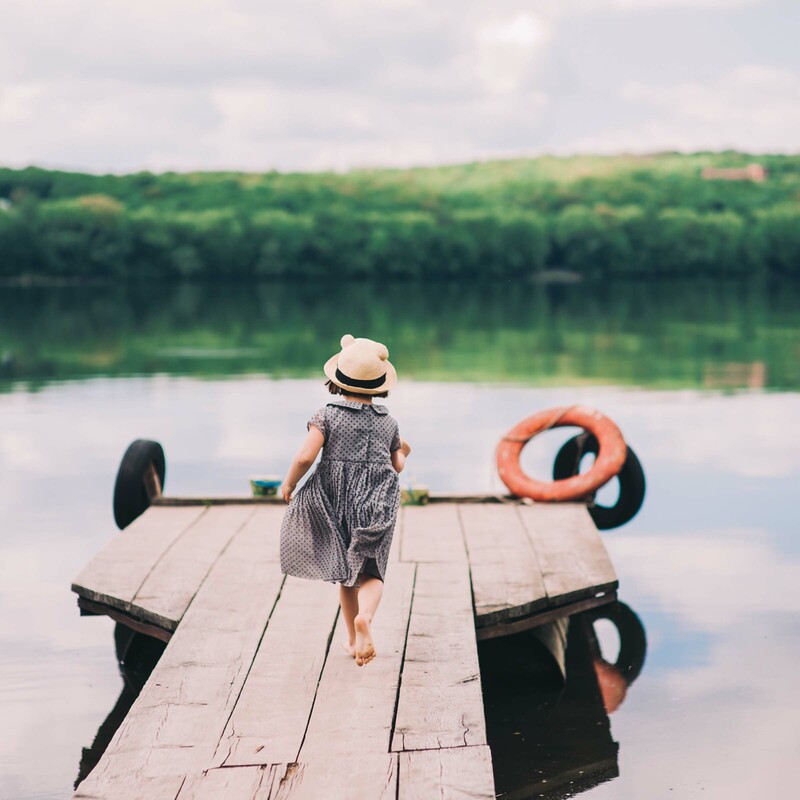 I want to use the summers I left with my kiddos to create amazing memories whether they are in our own backyard or somewhere in this great big, amazing world. 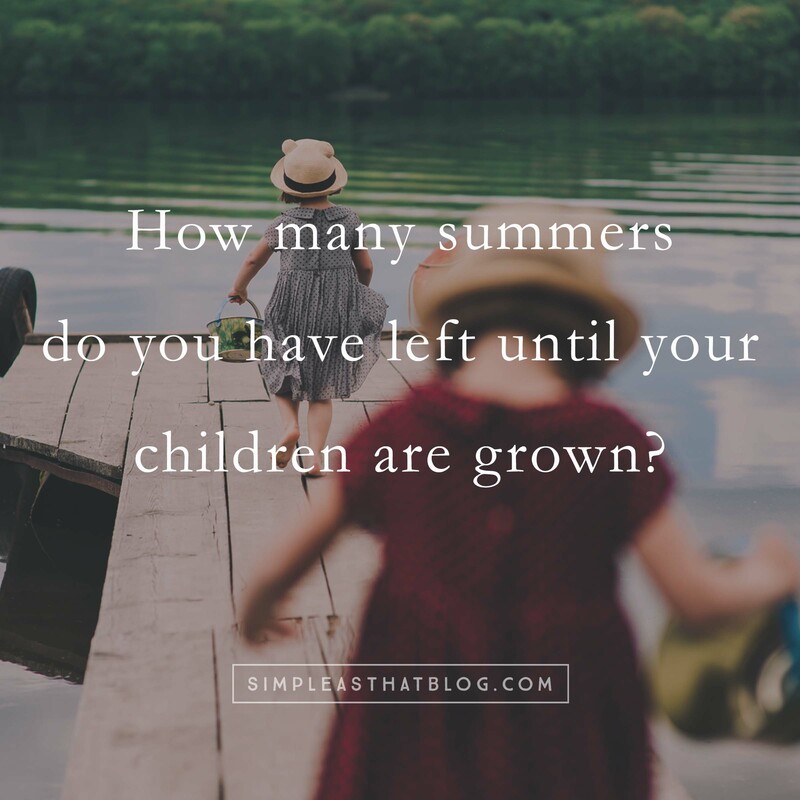 How many summers do you have left….four with my oldest, eighteen with my littlest…either way I feel like it is fleeting. Our only child graduated high school twenty years ago this year. He is married now to a lovely young woman and they have a beautiful set of eighteen month old twins. It was a tearful joy to see him set off on his own, college first and then the army. Then came the grandkids and the joy was there once more. But then their careers led them to move across the country and as parents we were thrilled to see them get the opportunity to better their life. The heart of the parent, and now grandparent in us, is once again torn though, as they move forward into their own family to create their own joy and their own memories. This is so true. I have many happy memories of summers with my beautiful daughter, and many photos to cherish. But I want to add something too…my 94 year old mom now lives with me, and your words reminded me that my times with her are also limited..so when she says she wants to make one more trip, or wants to go out someplace that has karaoke, I’ll think twice now before I automatically say I don’t think I can get the time off from work, or I don’t sing very well, etc. Thank you for sharing your thoughts. It does cause one to really think about what is important. Wow. Well said. Thanks. I’m in tears now but that article sure put everything into perspective now. I have a 4 year old and I’ll be making every summer (and day) count as much as possible. Thanks for the reality check. Things do change but I’m happy to say we still take vacations each summer with our three kids and now their spouses and babiea and dogs. It’s a new kind of wonderful! This is so well said, and 18 is not enough. All we can do is savor them together! Our youngest are twins and this is our 18th and final summer. I should have done more of these things, but some we have gotten right. They’re graduating next week and college in the fall. But we will make the most of this last summer! Last summer I almost lost my 12 year old in a terrible accident/bad choice. He spent 5 days in a coma, but did make a full recovery. 18 summers aren’t guaranteed. ..that’s important to remember too. 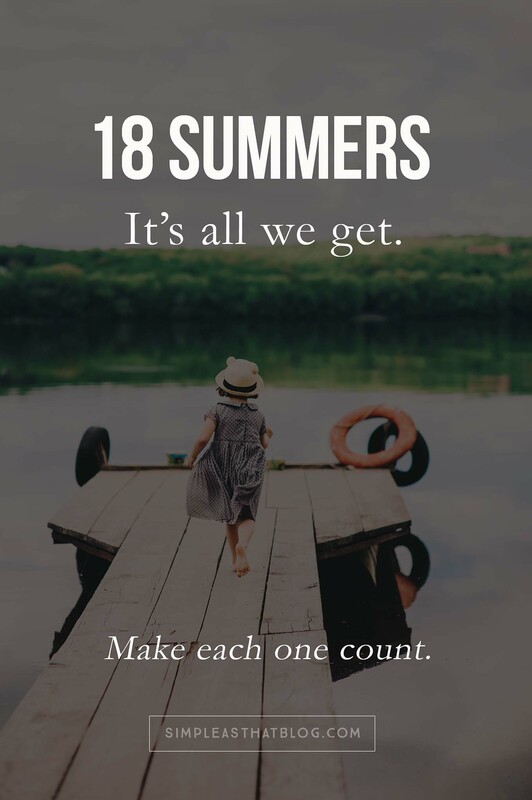 Love this….my two are 19 & 21 and we had what will probably be our last ‘big family holiday’ last summer….we could’ve spent the money on the house….but hey, life is short…make memories with those you love because life can change in the blink of an eye.. I love your comment. My twin babies graduated high school yesterday. Our last big trip (not all 3 sons could go) starts next week. Like you, carpet needs replacing and kitchen counter a mess, but as I look back at trips I took instead of replacing carpets, I have precisely 0 regrets. Flooring can wait until next year when there isn’t exploring to be done. Don’t worry, if they go, they will be back;( The 47 year old just moved out for the fourth time! With Millennials and Boomerang kids….they will be back! I love these and try to live by these suggestions daily. 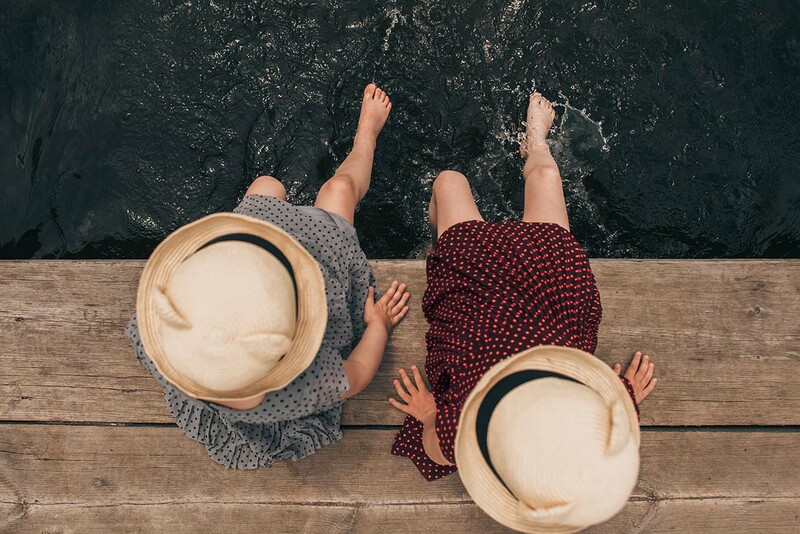 Traveling with two young daughters is difficult at times, but making memories is so important. My son turned 10 in April so we’ve had 9 amazing summers with him so far. Once I cleared the tears from my eyes after reading this, I turned to my wife and sadly said “we’re halfway done, we only have 9 left”. Wonderful article, it makes you realize how important those little things are. You might not even get eighteen. One of my daughters had an almost full time summer job at 15. For her 19th birthday my other daughter booked her plane ticket and went to visit friends for her summer vacation from a full time summer job. As older teenagers they had their own agendas that didn’t include family. I loved my summers and am now having to reinvent them. And now I’m crying and just agreed to get the trailer my husband and I have talked about to travel with the kids around the PNW this summer… thanks for the helpful little nudge and inspiration. Much Love to you. 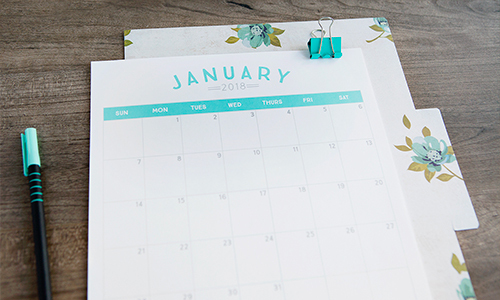 To be honest,I am not the nostalgic type so I don’t really relate to everything, but I am very aware of time flying by and the importance of spending time with my kids and creating memories. They are still in the “mommy is the best” stage (5 and 7 yo), so I am enjoying this. This is why I am taking 7 weeks of unpaid vacation this summer, to spend time with them, give them the gift of a relaxed family-oriented summer. No stress, no fuss. I am very aware of how lucky I am to be able to do this. My comment is one of regret, but also one of second chances. I regret that I didn’t make the most, but I did make the best of the summers I had with my children, now 31, and 29, however, the second chance is the grandchildren. I have 8more summers with them. I do plan to make up for what I didn’t get accomplished!!!!!!! Love this reminder. My 18 month old is growing more quickly by the day it seems. I’m treasuring this season and looking forward to all of the seasons to come. This is so beautifully said. My daughter, 18, graduated last week and my son,16, will graduate in 2 years. I am thankful that we have had many adventures over our summers together. Last year we chose events for Christmas. We went to concerts, the ballet, trips and cooked together. It was wonderful to have all of us together. This summer we will spend as much time as we can doing things (trips, concerts, cooking, makeovers, singing)before college begins. The time goes so quickly! Enjoy it! As for the time with parents, I will never regret having my mother-in-law spend most of her last year living with us. It was a blessing for all of us to have that time with her. My children, ages 11 and 9 then, were able to spend time loving her and receiving love from her in ways they would have never had. I saw such compassion and depth in them. My husband was able to know that his mother was being cared for in a lovingly way. Being the primary caregiver for her was a wonderful and difficult job. It allowed me to have such special memories with her. I am grateful for the time we had.